Join me to discover the power of your right brain to create art! Art is a fantastically versatile non-verbal language that people of any age can use to give substance to their dreams or imaginings. Thoughts and feelings that might otherwise remain internalised can be expressed, giving rise to pleasure, relief from frustration and greater self-assurance. In general, verbal language dominates our thinking and functioning and as a result R-mode thinking can feel strange and ‘off the wall’, while L-mode thinking feels natural or normal. This painting workshop will explore accessing your visual, perceptual right hemisphere by presenting your brain intuitive tasks that your verbal, analytic left hemisphere, will turn down. I will guide you to discover how to be mindfully present as you create art without any attachment to a product. 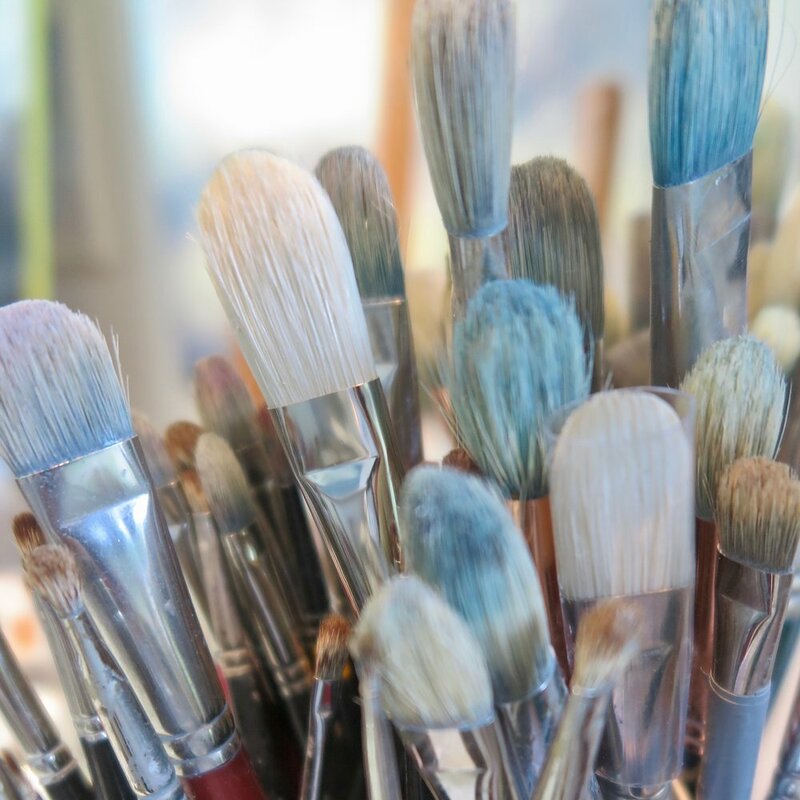 Despite any preconceptions you may have about your ability with art, you will experience the meditative benefits that arise from being fully immersed in the non-verbal process of painting and drawing. A studio in the lower Blue Mountains, Blaxland vicinity. Lunch, fresh fruit, cookies, water, tea and coffee are included in the workshop. Please let me know when booking, if you have special dietary requirements. Late bookings may mean that special dietary requirements cannot be accommodated. Places for the workshop are limited and will be allocated in the order of bookings received with full payment. You can book via my website www.corinneloxton.com.au or by telephone ph. 0432 922 653. I will then invoice you $160 and provide you with bank transfer details. Once your direct bank payment is processed, you will receive an email confirmation, along with detailed information about the workshop. You may choose to pay an additional $15 to cover all materials or bring your own. PLEASE NOTE These colours are only a guide. If you already have paints, just ensure you have a cool and a warm of each of the primaries to bring along. I am happy to supplement what you have.